Start taking classes at Live Oak Yoga and other studios! Live Oak Yoga is an inclusive studio that offers yoga for everybody. At Live Oak Yoga, they offer classes for athletes and runners, those looking for a spiritual experience, beginners and advanced practitioners and children. You will find a class that makes you happy. The studio's mission is simple: to create an inclusive community of yoga where practitioners of all ages can come together and explore. Live Oak Yoga features a diverse group of yoga and fitness instructors and many different weekly classes. Bring a yoga mat, towel and water bottle. There is filtered water in the studio. Mats are available to borrow or purchase, and water bottles are also available for purchase. 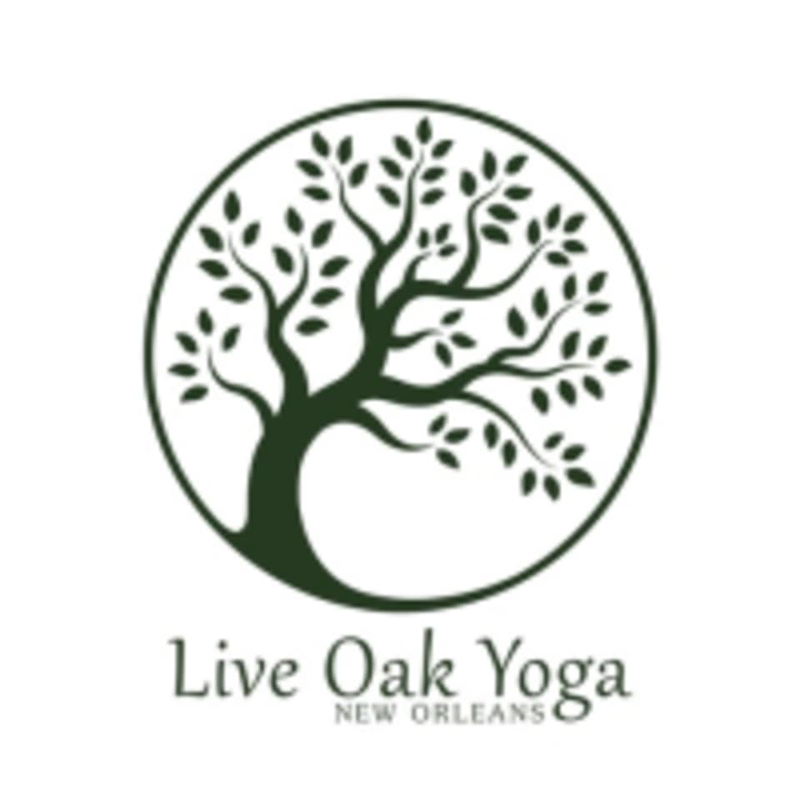 Live Oak Yoga is at 6113 Magazine Street, right on the Magazine Street bus line and a short walk from the St. Charles street car line. So relaxing. Loved our instructor—made the class comfortable and individualized. Looking forward to coming back! Jimena is challenging in a good way. she is always calm. This class was not for me! I have an injury to my left shoulder which I always explain to the instructor prior to starting the class just so she understands why I may not be doing certain poses. Out of respect for her. I told Holly that a downward dog was impossible for me and she began instructing me on all the modifications I could do. This was not very helpful, as she spoke quickly and in “yoga talk”. My hope is an instructor will be mindful of my problem and will or won’t come by during the class and offer alternatives. Even suggesting modification while teaching would be great! In this class, the flow with downward dog was repeated for up for 15 minutes until I just left because I couldn’t think of any other way to modify...leaving me to do a child’s pose, over and over or to lean on my replaced shoulder, causing me pain. The best instructors seem to understand that being older, having an injury or being inexperienced in yoga is ok...all are supposed to be welcomed. Jimena’s classes are amazing. Creative sequences that push me to try new postures and alignment cues that reinforce my practice. The small studio space makes for an intimate class environment. I got a lot of personal attention from the teacher and really worked on my alignment. The pace it was easy to follow but I still got an excellent workout. I will definitely be back. Great class. Loved the use of essential oils and incense. Jimena really takes your practice to the next level!